Australia has a bunch of kangaroo species, Madagascar has multiple species of lemurs, the Galapagos Islands have boulder-sized tortoises–islands get lots of cool animals. That's because when animals are isolated on islands, they can evolve into strange new species found nowhere else on Earth. But what's the cut-off–how small can an island be and still support the evolution of multiple new species from a single common ancestor? 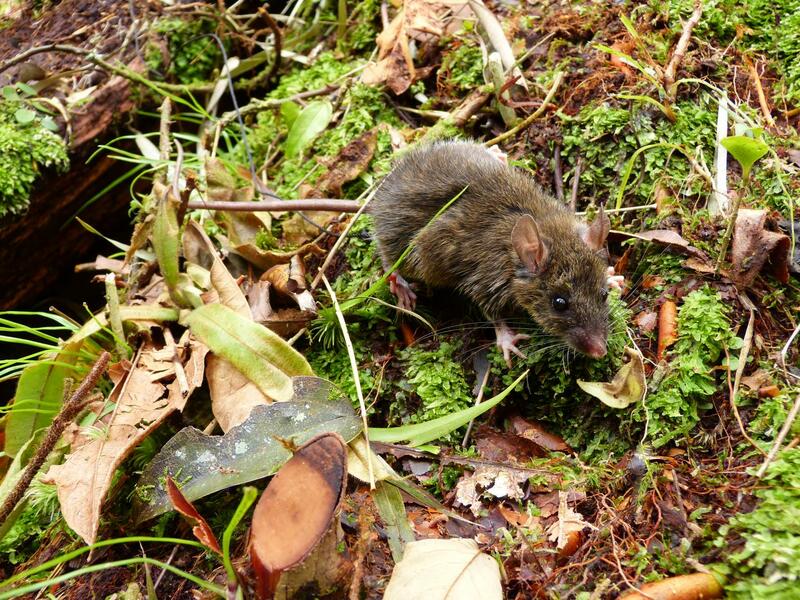 A team of mammalogists just discovered that four species of mice evolved from one common ancestor on Connecticut-sized Mindoro Island in the Philippines, making it the smallest known island where one kind of mammal has branched out into many more. "The single most remarkable thing about planet Earth is there are so many species here, so much biodiversity. We take it for granted, but holy cow, there's a whole lot of stuff out there–how did it get here?" says Lawrence Heaney, Negaunee Curator of Mammals at Chicago's Field Museum and co-lead author of a recent paper in the Journal of Biogeography. "This is one of the few papers ever written to look at whether there's a limit to how small an island can be for species diversification to occur, and it's the only one looking at it in mammals. Mindoro is by far the smallest island on which we've seen this happen." Previously, the smallest island where scientists knew mammal species had diversified was Luzon, the largest island in the Philippines. But Luzon is one of the biggest islands in the world, about the size of Virginia. Heaney and his team wanted to see if they could do one better–"We looked at a map and said, okay, where's there a smaller island where diversification may have occurred?" The scientists didn't have to look far–they turned to Mindoro, a small island just across a channel from Luzon. Mindoro is a tenth the size of Luzon–it's about two-thirds the size of Connecticut. Heaney's colleague Danny Balete, now deceased, led the fieldwork missions on Mindoro for four field seasons, searching for the island's mammals. "The mice we looked at in this study are all members of the "earthworm mouse" group Apomys–they love earthworms, but they also eat seeds and fruits. They've got big dark eyes, great big ears, long soft fur, white feet, dark tails–they're very pretty little mice," says Heaney. "The results are unambiguous–we've got four species of forest mice on Mindoro from one colonization event from Luzon about 2.8 million years ago," says Heaney. "And three of those four mouse species are found on their own separate mountains."